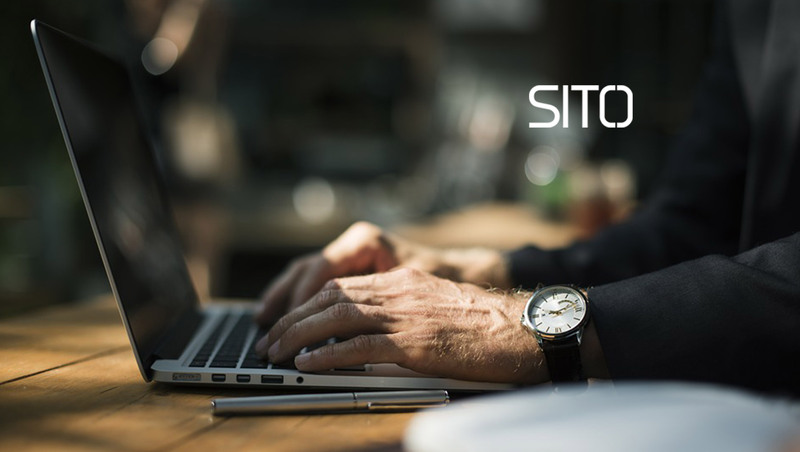 SITO Mobile Ltd. (NASDAQ:SITO), an insights-driven Consumer Behavior and Location Sciences™ company (the “Company” or “SITO”), announced today that Steven G. Felsher, Jonathan Bond and Bonin Bough have joined the Company’s Board of Directors (the “Board”). In addition, Mr. Felsher will serve as Chairman of the Audit Committee of the Board and will join the Governance and Nominating Committee of the Board, Mr. Bond will join the Audit Committee of the Board and Mr. Bough will join the Governance and Nominating Committee and the Compensation Committee of the Board. Each of the Company’s new directors brings a wealth of experience with high-growth marketing and advertising services organizations and businesses, providing additional perspective to the Board’s mission to further position and grow SITO as a catalyst for business transformation and growth through the power of its mobile location data and marketing optimization services. Steven G. Felsher is an experienced executive, with particular skills in finance, administration, governance and other aspects of public and private company management. Mr. Felsher spent a substantial portion of his career with Grey Global Group Inc., a publicly-traded, global marketing services company, where he served as a senior executive from 1979 until 2007. At Grey, Mr. Felsher rose to Vice Chairman and Chief Financial Officer, and had responsibility for essentially all non-client/media facing activities including financial management, human resources, capital formation and corporate development, investor relations and acquisitions. Mr. Felsher was the point person for Grey in connection with the acquisition of Grey by WPP Group, and served as the chief integration officer to oversee Grey’s integration with WPP. Mr. Felsher left Grey in 2007, and since then has been involved in board, consulting and advisory assignments for a number of companies, with particular emphasis in the services, technology and intellectual property fields. Since January 2011, Mr. Felsher has been a Senior Advisor at Quadrangle Group LLC, a private investment firm focused on the information and communications technology sectors. During his time with Quadrangle, Mr. Felsher served as a member of its Investment and Valuation Committee. In addition, Mr. Felsher is an Investment Partner of Armory Square Ventures, an early stage venture capital fund that focuses on technology investments. Mr. Felsher has previously served as a member of the board of directors of numerous public and private companies, including Lumos Networks Corp., West Corporation, and NTELOS Holdings Corp. In addition, Mr. Felsher is a long-time trustee of Brooklyn Academy of Music and is a trustee of the BAM Endowment Trust, which oversees BAM’s endowment. He is also a Fellow, Trustee and Treasurer of the New York Academy of Medicine. Mr. Felsher is a graduate of Dickinson College and Yale Law School, and was a Thomas J. Watson Foundation Fellow. Jonathan Bond is the Chief Tomorrist at Tomorro and a recognized thought leader and entrepreneur in the advertising and marketing industry. He has developed several significant companies and marketing concepts over his 30-year career, including past board, advisory and investor roles at Sonobi, Storylines Cruises, White Ops, Data Xu, Crimson Hexagon and Kinin wellness pods. Mr. Bond is the former CEO of Big Fuel, a leading social media agency (now owned by Publicis) and the co-founder and CEO of Kirshenbaum Bond and Partners (now part of MDC) (“KBP”). While at KBP, Mr. Bond was voted number 4 by Adweek’s Executive of the Decade (2010). KBP was named agency of the year in 2008 and launched one of the industry’s first trading desks, Varick Media Management. In addition, Mr. Bond co-founded and sold iballs, one of the first online media agencies, to Microsoft in 2000. B. Bonin Bough is one of the foremost-awarded marketing executives in his field, the host of The Cleveland Hustles, and the author of Txt Me (646) 759-1837. Throughout his illustrious career as one of the youngest C-suite executives in a Fortune 50 company, Mr. Bough has spearheaded a number of the industry’s largest global marketing campaigns across digital, mobile, television, print, and experiential, including the premier of the first ever 3D printed food product, the customizable, real-time 3D printed Oreo at SXSW. As the Chief Media & eCommerce Officer at Mondelēz International (formerly Kraft Foods), he created some of the first marketing programs across Facebook, Twitter, YouTube, Paramount Films, ABC, NBC and Fox, among others, and fostered partnerships with companies such as Instagram, Foursquare, and Buzzfeed. Prior to his time at Mondelēz International, Mr. Bough led digital marketing globally for PepsiCo, Weber Shandwick and Ruder Finn. Mr. Felsher, Mr. Bond and Mr. Bough will each serve on the Board until the Company’s 2018 Annual Meeting of Shareholders, or until their respective successors have been elected and qualified. In addition, Brent Rosenthal, Itzhak Fisher and Karen Seminara Patton have resigned from the Company’s Board, based on their determinations that they could no longer make the time commitment necessary to serve as members of the Board given their extensive other business commitments. Mr. Rosenthal’s, Mr. Fisher’s and Ms. Seminara Patton’s resignation from the Company’s Board is not the result of any disagreement with the Company, or any matter relating to the Company’s operations, policies or practices.